Supposed to bring wealth and abundance in the house, these plants are scientifically known as Crasulla Ovata. Keeping them at sharp angles and corners reduces stress and anxiety. It is believed that planting the money plant inside the house brings good luck and prosperity. It helps in financial growth and increases sources of income. According to Feng Shui, Money Plants should be kept indoors in the south-east direction of the living room or hall. Lucky Bamboo is one of the few plants that represent all the five elements of Feng Shui. It is supposed to attract health, wealth and prosperity in the house. The directions in which it should be placed in is the east and south-east direction. The east direction brings health and southeast direction brings wealth and money. Known as “Money Tree” in Chinese culture, it is supposed to attract money in the house. Its leaves represent the five elements of Feng Shui making it a perfect plant to induce harmony in the ambience of the house. It maintains the positive chi energy in the house. It thrives in bright but indirect sunlight. This plant is supposed to create a perfect balance of five energies. It attracts peace, prosperity, tranquillity, solitude and purification. Native to South America, this plant is an excellent air purifier too. The lush green leaves and serene white flowers induce a sense of calmness in the house. Peace lilies are a part of the philodendron family. Golden pothos is known for its excellence in removing formaldehyde and carbon monoxide from the air. According to Feng Shui, placing Golden Pothos at the shelves and corners kills the dead energy in the house. They do not require hefty attention or care and thus make for excellent indoor plants. It is a member of the Lily family. Also known as Mother-In-Law’s tongue, these plants are hard to kill. Its foliage has a sword like an appearance. It is one of the few plants that release oxygen during night time too, thus maintaining the oxygen flow in the room. This makes it a perfect bedroom plant. 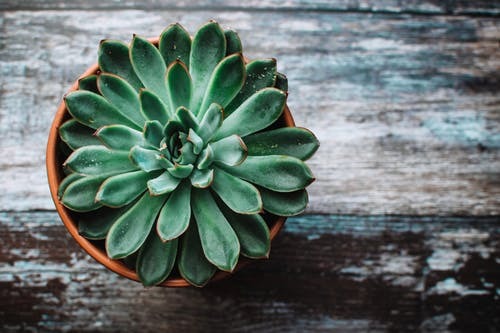 According to Feng Shui, placing this plant in the south-east, east and south corner attracts positive protective energies in the house.